• must apply for retired pay by submitting an application to the branch of service you were assigned to at time of your discharge or transfer to the Retired Reserve. For those serving in the Army National Guard or Army Reserve, the address is Commander, AR-PERSCOM, ATTN; ARPC-ALQ, 9700 Page Ave, St Louis, MO 63132-5200. See helpful Reserve Pay Calculator and National Guard calculator for assistance. As a Reserve/National Guard member, you must have 20 “qualifying” years of service to be eligible for retired pay at age 60. A “qualifying year” is one in which you earn a minimum of 50 retirement points. This subject is too broad and complex to be explained fully in an article, but in very general terms, a soldier establishes a retirement year ending date by entering the Active Reserve. The date you enter the Active Reserve is your retirement year beginning date (RYB). As long as you have no break in service, your retirement year ending date (RYE) will be one year later. For example, a soldier who joins the Active Reserve on 2 July 1986 would have a RYB of 2 July 1986 and a RYE of 1 July 1987. This is simply a 365 day range to signify the year you started the active reserve process. Guard/Reserve members may accumulate a total of 365 points per year (366 in a leap year) from inactive and active duty service (one point for each day of duty). However, for retired pay calculation purposes, members can’t use more than 130 inactive points per year (for Reserve years ending before 23 September 1996) . Total number of Creditable Retirement Points, divided by 360. The formula computes the number of equivalent years of service the soldier has completed (comparable to full-time service). For example, 3,600 points equals 10 years. Military Personnel will notify the Defense Finance & Accounting Service – Cleveland Center (DFAS-CL) of the number of years service you’ve earned. Separating/discharging rather than transferring to the Retired Reserve will impact your retired pay and should be carefully considered. Guard and Reserve members who separate or are discharged before age 60 will be credited for basic pay purposes only with the years up until their discharge. Members who transfer to the Retired Reserve until age 60 will receive credit (for basic pay purposes only) for the years spent in the Retired Reserve. • DIEMS date before 8 September 1980 – “Final basic pay.” Multiply your years of satisfactory (equivalent) service by 2.5%, up to a maximum of 75%. Multiply the result by the basic pay in effect on the date your retired pay starts. • DIEMS date on or after 8 September 1980 – “High-3.” Multiply your years of satisfactory (equivalent) service by 2.5%, up to a maximum of 75%. Multiply the result by the average of your highest 36 months of basic pay. The highest 36 months for a member who transfers to the Retired Reserve until age 60 will normally be the 36 months before they turn 60. 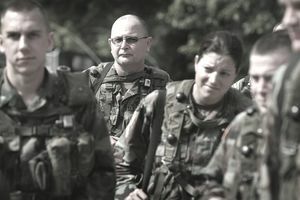 Members who request a discharge from the Retired Reserve before 60, however, can only use the basic pay for the 36 months prior to their discharge. Think carefully before requesting a discharge from the Retired Reserve! Your retired pay will be increased annually by a cost-of-living allowance (COLA) based on the change in the Consumer Price Index (CPI) from the third quarter of one calendar year to the third quarter of the next. COLAs are normally effective 1 December and payable the first working day in January. For years, the services had difficulty accurately establishing when a member of a reserve component had completed 20 qualifying years of service. Many soldiers stopped participating when they believed they had completed 20 qualifying years only to discover, much too late (at age 60), that they did not meet the requirements for retired pay. In 1966, PL 89-652 imposed a requirement on the Service Secretaries to notify members of the reserve components when they had completed sufficient years for retired pay purposes. A letter with the subject “Notification of Eligibility For Retired Pay at Age 60,” commonly referred to as the 20-year letter, does this. You should receive this letter within one year of completing 20 qualifying years of service for retired pay purposes.